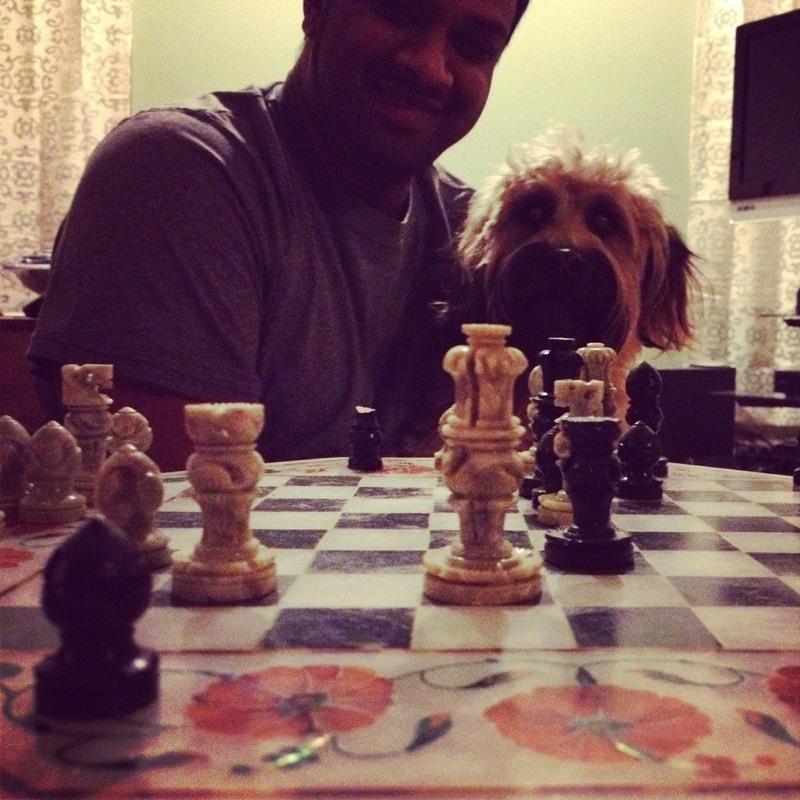 As I mentioned in a previous post, the hubs has been trying to challenge me to a game of chess. Here is my knowledge of chess: I know how the pieces move. I have maybe played twice. The hubs, however, has had this amazing chess set, that he brought back from a trip to India in his teens (it is made from the same marble as the Taj Mahal), on display ever since I’ve known him. Leading me to believe that he could be some kind of chess shark. 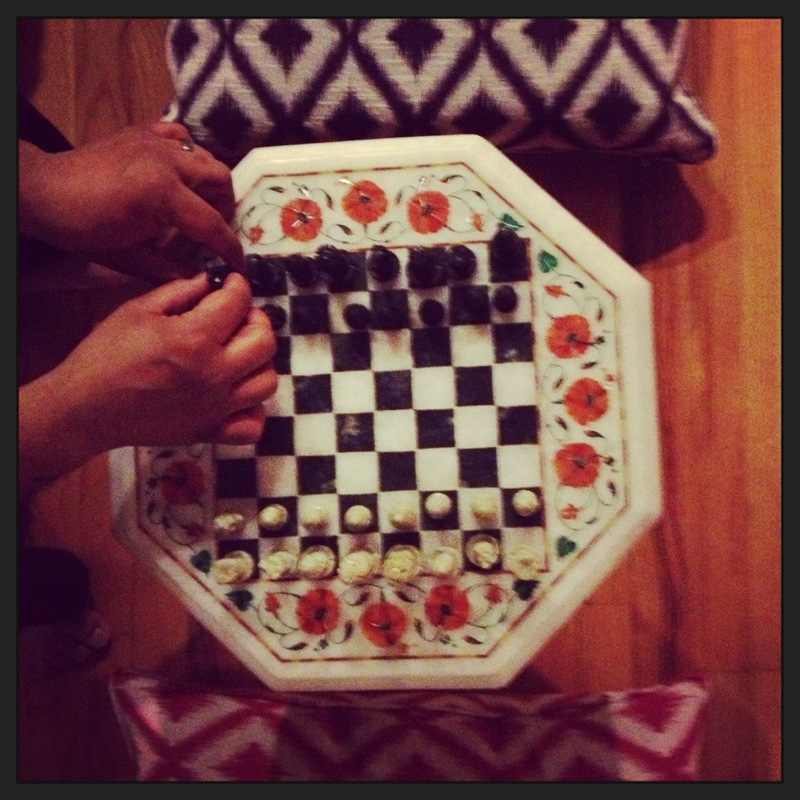 We sat on pillows on the floor–it only seemed appropriate–and proceeded to play a “pretty good” game of chess. I held my own defensively against his almost unending attacks. He probably had three times as many “checks” as I did before he beat me. It was definitely fun though. And required more brain power than the other games I usually play. Thanks, hubs, for insisting we do this!